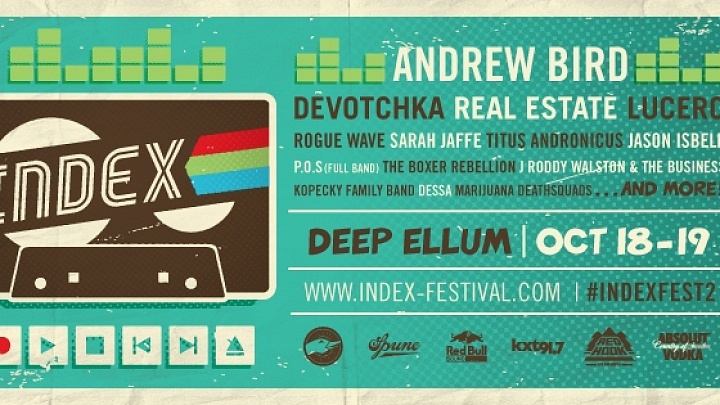 Texas indie label SPUNE is putting on another incredible festival in the heart of Dallas’ Deep Ellum this Fall. INDEX 2 just announced it’s pre-sale tickets and headliners with more artist announcements to follow! What does INDEX mean? Let’s have SPUNE explain, shall we? 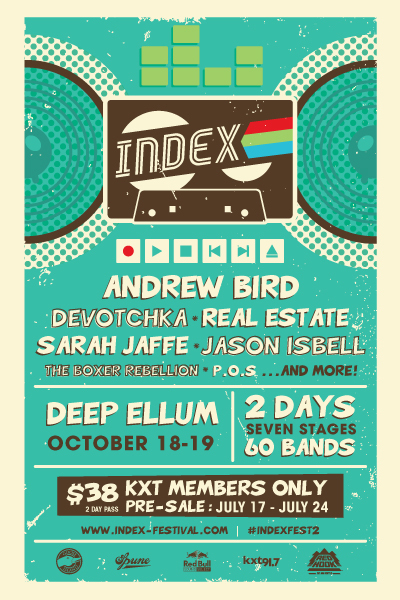 INDEX is a 2-day festival that takes place at the in the historic Deep Ellum neighborhood of Dallas. The new festival concept aims to showcase the best of what’s next in indie music (indie next = ind ex) as well as highlight (index) the artists that dominate the personal catalogues of fest staff members. In short, this event is simply about what we are currently digging and what we have always loved. As INDEX was introduced last year our hope was that it would have the chance to expand in a way that supported the continued growth of Deep Ellum. In 2013 we take our first step towards increasing our footprint as we will have the opportunity to utilize a number of additional venues within close proximity to the outdoor stages (Trees, Prophet Bar, Dada, and Three Links). This supports our ability to double the number both of stages and bands, increase our after hours focus, and contribute to those that build the Deep Ellum scene on a weekly basis. INDEX is Dallas. Strong festivals are important to the overall culture and perception of Dallas. We hope year two solidifies the festival as something that is both locally powered and nationally recognized. More bands to be announced soon.